A wedding venue like no other! Cruise onboard a dedicated, comfortable and modern vessel to Hardy Reef – home to world famous Heart Reef – and say ‘I Do’ with the backdrop of the spectacular Great Barrier Reef. This is a truly unique opportunity to create an incredible dream wedding day. Event design specialists prepare the exclusive use reef pontoon areas to complement the natural beauty of the surrounds with tasteful and classic décor. An elegant wedding arch on the upper deck is the location for the vows, and the lower deck overlooking the surrounding coral is set for formal sit down or cocktail style receptions. After drinks, speeches and dancing guests enjoy a sunset cruise back through the Whitsunday Islands while the newlyweds have a romantic evening on the Great Barrier Reef. The perfect end to a perfect day. Undoubtedly one of the world’s most beautiful beaches, Whitehaven Beach is a perfect place to say ‘I Do’. Privately charter one of Cruise Whitsundays’ high speed and comfortable vessels cruise through the Whitsunday islands to Whitehaven Beach – a unique and spectacular location. Have your ceremony on the beach and photos with this picturesque backdrop. 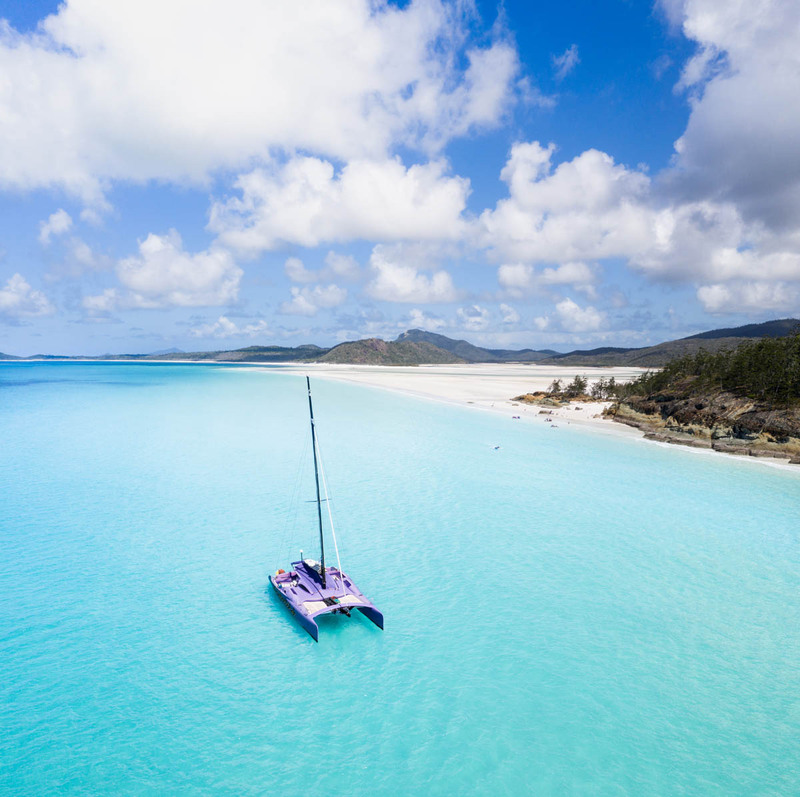 Then cruise back through the Whitsundays with catering options available on Whitehaven Beach or on board. Stargazing by night, exploring by day - it really doesn’t get much better than this. This two day, one night adventure is the ultimate unplugged experience, offering a once-in-a-lifetime opportunity to spend a night sleeping under the stars at the Great Barrier Reef. Our permanently moored pontoon is located on Hardy Reef, 39 nautical miles from shore on the Great Barrier Reef. One of the most spectacular stretches of the Reef, it’s a destination for day visitors but, for a lucky few, it’s a night out unlike any other. Just you, millions of stars, and your private stretch of the Great Barrier Reef. Prepare yourself for an intimate and totally unique experience that will stay with you forever. Watch as the day guests depart from mid-afternoon, and then sit back and relax and enjoy having the pontoon to yourself. As dusk approaches, watch the sunset and see the reef come to life – all while sipping your sundowner. As night falls, from your spot on the deck you will dine under the stars before retiring for the night, letting the sounds of the tranquil Coral Sea lull you to sleep. Your Uniquely Australian accommodation comes in the form of a waterproof single or double swag. Here, in the outer reef, the sea breezes, blazing star-lit sky and gentle rhythm of the tides hypnotically combine to create the ultimate sleepover... and a lifelong memory.